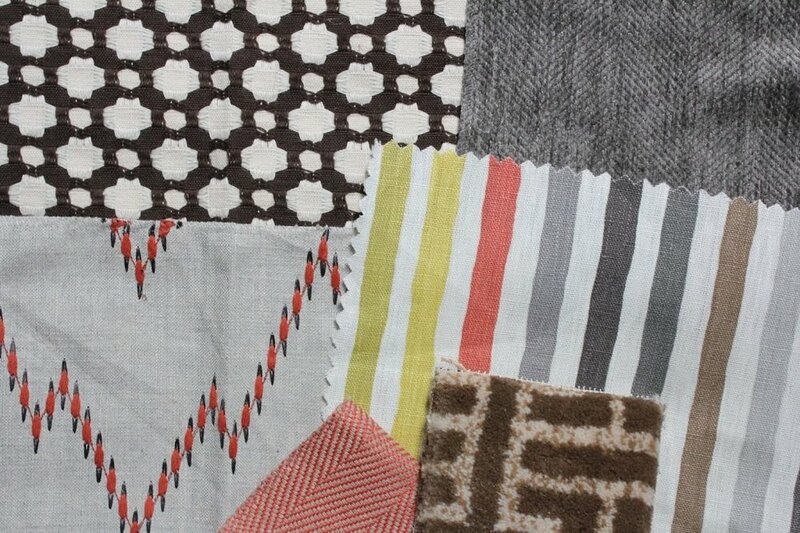 Thom Filicia has a new collection for Kravet! I spied the samples hanging on the wall and had my showroom rep hunt me down a few even though they weren't technically available yet. I love this bright mix--the stripe combined with Schumacher's Betwixt and the small herringbone from Nate Berkus' new line for Fabricut (which is well priced and features some great fabrics).